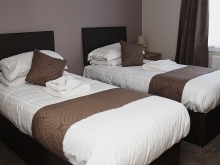 This en-suite double room has a TV and tea and coffee facilities. 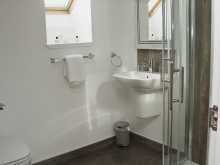 This en suite twin room has a TV and tea and coffee facilities. 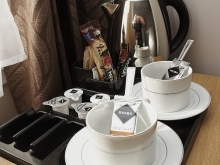 This single en suite room has a TV and tea and coffee facilities.